Cross Realm Podcast : Your Entertainment & Gaming Podcast ! Cross Realm Podcast #11: Your Gaming & Entertainment Podcast! Episode 11 # of Cross Realm Cast SHOW NOTES - CRIIKETTE Welcome to Cross Realm Podcast! The Entertainment Podcast hosted by CRR Gaming Group Members! Today is May 24, 2018 You can reach the show by emailing @CrossRealmRebellion@gmail.com You can tweet the show @CrossRealmPod on twitter! You can grab the RSS Feed, get our show notes , and leave us a voice message at anchor.fm/CrossRealmPodcast , and apply to join us in game at CrossRealmRebellion.com ! Cross Realm Podcast #10: Your Gaming & Entertainment Podcast! Episode # 10 of Cross Realm Cast SHOW NOTES Welcome to Cross Realm Podcast! The Entertainment Podcast hosted by CRR Gaming Group Members! Today is May 10 , 2018 You can reach the show by emailing @CrossRealmRebellion@gmail.com You can tweet the show @CrossRealmPod on twitter! You can grab the RSS Feed, get our show notes , and leave us a voice message at anchor.fm/CrossRealmPodcast , and apply to join us in game at CrossRealmRebellion.com ! Cross Realm Podcast #9: Your Gaming & Entertainment Podcast! Cross Realm Podcast #8: Your Gaming & Entertainment Podcast! 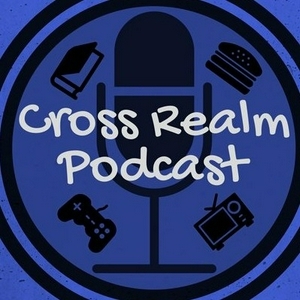 Cross Realm Podcast #7: Your Gaming & Entertainment Podcast! Episode # 7 of Cross Realm Cast SHOW NOTES Welcome to Cross Realm Podcast! The Entertainment Podcast hosted by CRR Gaming Group Members! Today is April 19, 2018 You can reach the show by emailing CrossRealmRebellion@gmail.com You can tweet the show @CrossRealmPod on twitter! You can grab the RSS Feed, get our show notes , dwand leave us a voice message at anchor.fm/CrossRealmPodcast , and apply to join us in game at CrossRealmRebellion.com ! Introduce tonight's crew! Who wants to? Willektron Esme Rando quick gaming news : Kid plays fortnite during a tornado https://twitter.com/WXII/status/985982500093812736?s=19 Esme People love far cry fishing lol https://twitter.com/i/moments/986116322919530496 Maint Topic: Esme: Crowd Funded games? Have you been following any? Have you ever backed in? Do you Think Crowdfunding is the way to go? 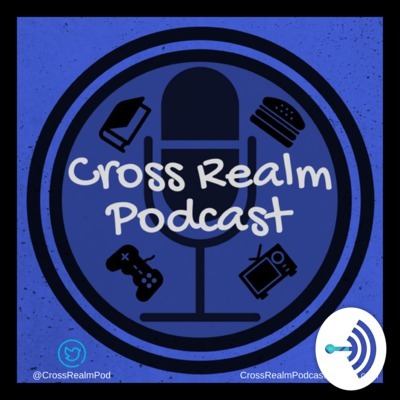 Cross Realm Podcast #6: Your Gaming & Entertainment Podcast! We share what games have let us down, what we're playing, what we are watching, and finish off with some fun "Would you Rathers"! Cross Realm Podcast #5: Your Gaming & Entertainment Podcast! April Fools Stories, Elder Scrolls, Eve, Splatoon 2, Pix Ark, The Gifted, Shadespire, Lost Castle and more! Cross Realm Podcast #4: Your Gaming & Entertainment Podcast! Cross Realm Podcast #3: Your Gaming & Entertainment Podcast! Cross Realm Cast #2: Your Entertainment & Gaming Podcast! Cross Realm Podcast #1: Your Gaming & Entertainment Podcast! Cross Realm Cast Launch Announcement!